We quickly decided on the new Eurocruiser Lite 865. Herbie and Pedro made every effort to sort out the transition from being an American rig to being IVA compliant (legal on British roads). Josh in the workshop is a whizz with all things fifth wheeler related and certainly knows his stuff. If you are thinking of a fifth wheeler or even a new caravan we would highly recommend that you check out the STT Group. 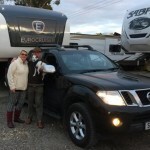 On behalf of Louise and I, sincere thanks go to the whole team of STT Group in Wrangle, Lincs for sourcing our new 5th Wheeler – the Eurocruiser 915. We took delivery in December 2017 and managed a quick familiarisation weekend with it at the Clumber Park CAMC site before putting it on its winter season pitch in the Austrian Alps. Just as well we did the Clumber trip, the bedroom slideout had a rare gearbox snag (from the factory) but a call into STT had lead technician Josh (and colleague Pedro) on the road to us within the hour – armed with tools, factory manual, spare parts and Josh already having rehearsed the fix in the workshop before setting off!! Fixed before the kettle had gone cold, Josh and Pedro left us very happy campers. Can’t say enough about Josh’s professionalism and his technical ability or about the no-quibble attention we received from STT Group owner, Herbie to get the team to us. We got to Austria without incident and the trailer then spent 4 months in sub-zero temperatures. It performed brilliantly - with the heating performance as good on gas economy as our Swift Motorhome in the season prior. Just proving that for its increased internal volume the Eurocruiser is well insulated with the Arctic Package. We were back to the UK at the end of April and into the STT Group workshop for an early service and once-over. The Eurocruiser was in good fettle and was none the worse for its extreme adventure – so now, the 2018 summer in the UK and then back to the Alps in December ready for the 2019 ski-season. We’ve lost count of the number of people who last season commented that the Eurocruiser beat their own apartment for space and facilities!! So, Herbie, Jenna, Josh and Pedro – thank you for making our adventures come alive and for the support we know we’ll get during the ownership of our new home from home. 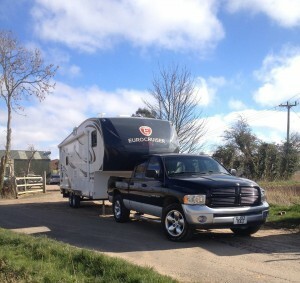 We bought our fifthwheel trailer in December from the STT group. Had lots of questions, this being our first brand new caravan, which were promptly answered in a way we could actually understand everything that was being explained. Pedro showed us around the trailer and made us feel at home from day 1. We now have returned from our first holiday to Spain and have no faults to point. We love our new home. Regarding the brake update the new smart brake system is a great improvement to the trailer. Also given the fact Josh fitted the new unit in a turn around time of two hours all work on these trailers are carried out to the highest of standards and comply with all the current legislation not like some others I could mention. All in all a fantastic Eurocruiser 5th Wheel I would recommend anyone looking for one without any doubt to buy from the Stt Group for piece of mind, Quality Value & Service. 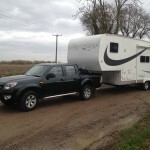 Having owned a Xtreme Lite 26rb and Mitsubishi L200 for a few years, I attended in the Malvern Summer of 2016 looking to hopefully upgrade my current Fifthwheel rig. As soon as the gates opened, a Kountry Lite & Ford Ranger complete rig which was up for sale caught my eye and after having checked the details, I sought out The STT Group's stand. It was at the The STT Group's show stand and I met Herbie, who couldn't have been more approachable and knowledgeable about all of his stock. After a brief discussion about the Kountry Lite and Ranger, I expressed interest in a part exchange deal for my current rig, which Herbie said he would be able to do. I was extremely happy with the offer Herbie made for my rig and had total confidence in him, so the deal with signed off there and then. Since then, Herbie and all of his staff at The STT Group couldn't have been more helpful and professional during the process of the part exchange. There was a few issues with the electricity in the Kountry Lite which Josh in the workshop assured me would be fixed and as promised, were completed to full function both professionally and efficiently. I would not hesitate to recommend The STT Group and all the services they offer to anyone I know. I look forward to any future dealings we may have and do so with absolutely confidence in them! Thank you. When you are not an expert on the "Caravan World" all you have is questions, and even with the power of the Internet, it is not easy to find answers. Coming from a foreign country, we were looking for somebody to trust and get the right advice from. We needed a spacious, reliable RV (as they are called in Canada) for peace of mind. Early in the process we learned that most of the people selling Caravans in the UK have good intentions but they are more interested in selling their units. Herbie Hiley was the only person who was always ready to talk to us and even showing with documentation to support what he was recommending. 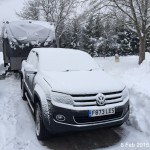 Herbie went beyond what a Caravan dealer does for his clients. He provided great advice before we made our decision. Once in the UK, he was a great host for me and my family. He helped us in getting familiar with the “Caravan world” in the UK and facilitated and assisted on every aspect of what we needed for our trip, like insurance, accessories, campsites and many others. I would not hesitate to recommend Herbie to anybody looking for a spacious Caravan in the UK. After several months of research and almost giving up on the idea as a result of many dubious claims from American caravan / fifth wheel retailers in the UK, we met Herbie. He took the time to explain all the details of fifth wheel ownership. We contacted other clients of STT group who had posted testimonials and overall felt comfortable in dealing with this company. 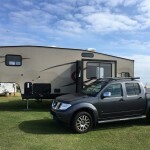 We looked at the options to suit our tow vehicle - Nissan Navara 3l V6 - and Herbie made recommendations based on weight, length etc. A unit became available that suited us very well and Josh worked on it very hard to make certain changes to the layout that we requested to suit our family. We had our first trip out last weekend and really enjoyed it. It feels quite different to tow this much heavier trailer compared to our previous UK built twin axle caravan but not uncomfortable or unmanageable. It certainly attracts some attention on site! Thank you to Herbie and Josh for your high levels of service and attending to our (regular!) queries. We first meet Herbie at Newark show ground in 2014 at the end of season caravan show, we had been looking at fifth wheel vans for sometime, we through they would be out of our price range. After speaking to Herbie, he said he could get us a fifth wheel and a tow truck within our price range. 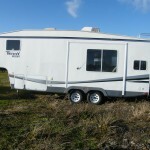 Our caravan and tow car would be taken in part exchange, with the remainder in cash. Herbie found us a 2006 Fleetwood Terry 29 ft and a 2005 Nissan Navara to tow it. Herbie bought the Nissan to our house to exchange for our old tow car so that we would not be without transport, a distance of some 40 miles. He also pointed me in the direction of an insurance company that dealt with fifth- wheel units, that insurance came out cheaper than the combined insurance I was paying on the car & caravan. we collected the Terry in October 2014, our first trip we had some minor issues with the awning but Herbie sent his fitter to us to resolve it, if I have had any issues or problems Herbie was only a phone call away & could usually resolve them over the phone. While taking our unit back for service last year, I misjudged a bend in the road and a tree branch caused some damage to the side wall. Herbie dealt with the insurance company, the job was carried out by Herbie and the unit looked like new when it was done. I can not more strongly recommend Herbie and his crew to any one thinking about a fifth wheel unit, as the service I have received has been second to none. We recently purchased a fifth wheel eurocruiser 855 , this is our second purchase from the Stt group the first was a towed American caravan in 2006. 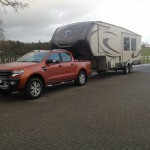 We collected our fifth wheel caravan from Herbie, and had our fifth wheel fitted to our Ford Ranger that morning, hand over done we were on our way back to Scotland. We have a few weight issues which are being sorted as we speak, but I must say that the service and attention has been first class with all our calls and queries handled efficiently. I am delighted with our fifth wheel it's really stunning inside and out and tows very well. Would not hesitate in recommending Herbie and his company. Eurocruiser 875 does the Alps. We recently purchased a new Eurocruiser 875 fifth wheel from Herbie at The STT Group. After some early teething problems with weights and turning circle angles, we are glad to report our first outing to the Alps was a great success. The product has proved to be better than our expectations and would certainly recommend it. It was nice to see a supplier putting in a lot of effort to help us overcome the teething problems; all to often these days you are left to your own devices when the going gets tough. Josh was a great help in the workshop and worked long hours to ensure everything was just right. Would definitely recommend buying from Herbie, his products are first class and he knows all there is to know about the fifth wheel market. After two years of researching caravans we met Herbie at the NEC and fell in love with the eurocruiser models ! 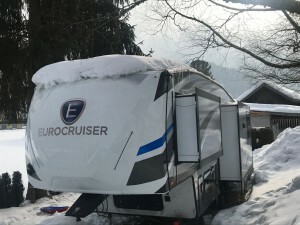 We have purchased a eurocruiser 640 caravan that suits our family perfect and The team in Boston have been very patient and helpful as we our new to caravanning and had lots of questions! Herbie has been particularly patient and even towed our caravan to our pitch as my husband is yet to acquire his towing licence! 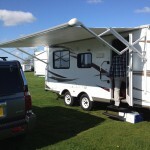 After a bit of towing experience and fun in our caravan I know we will be still in touch as will want a fifth wheel ! Fantastic service thanks Herbie and his team To add our children even named our caravan Herbie !!! We purchased the Eurocruiser Elite from STT group. 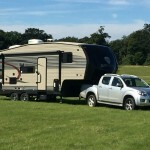 After years of caravanning we decided that a 5th wheel was more suitable to our needs. We found the perfect model for our requirements from you. Herbie is knowledgeable with information on the units, and patient with my questions about the maintenance differences between caravan and 5th wheel unit. Our unit was delivered to us and we are delighted with it. It is just what we hoped it would be and much more. Matt was pleasant and helpful with our questions and showing us how things worked. The kids are excited about going away in it, and started packing their bits and pieces the following day. Once we have all the final bits and bobs in place we will be on the road with it. Looking forward to many years of holidays with it, thank you guys for all your help and advice and for any future advice we may need.